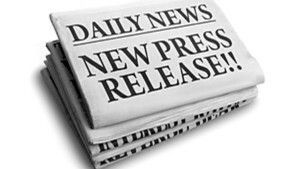 Press releases are a great way to promote your business. They can get your name in the media, improve your SEO and send traffic to your website at a low cost and time commitment. They may not land you on the pages of major national media outlets, but a press release can get you on aggregators like Google News and Yahoo News, and s good press release will also increase your odds of landing in a publication that’s targeted toward your industry and demographic. Ternary recently created a press release for Lust Vodka and sent it to PR Newswire for distribution to their massive media database. Our somewhat controversial topic in the release raised interest within the media, consumers and industry reading the article. Big news outlets such as Huffington Post and Fox News posted it because it was an interesting topic, and timely and engaging to readers. The brand’s name, newness, and FL distilling location, allowed us to craft the first six pages of SEO; anyone searching Lust Vodka, only receives the brand messaging we desire. Lust Vodka’s social media activity was up by 1000% compared to the normal day to day activity during the 30 days following the release, and the brand also gained over 500 organic social media followers every few days…all directly attributable to the press release. After receiving those results, we thought we would share our team’s internal criteria for a “good” release, and a few tips on creating your next outreach. While journalists don’t always find your press release online and reach out to write a story, it does happen. You can include a link to the press release you published online in your pitch when you email a journalist that you think should cover your news. Having it already published online gives you more credibility and shows that you were professional enough to write and distribute a release. You can also find free databases with thousands of media personnel if you aren’t interested in paying for a paid Newswire service. Include links back to your website for pictures and images, which always help you get acknowledged. Seldom does our team distribute a press release to the mass media, without also distributing it to very targeted micro-media lists. Micro Lists allow our team the ability to target strategic industries and target markets with our news. We have also found that the Micro Lists help extend our press coverage and are extremely important for future periodic placement, which is often on a longer timeline. Press releases aren’t just for major corporations announcing mergers and acquisitions. That big contract you won, the new person you hired in HR, or your recent company expansion is news. The more news you have online, the more buzz you’ll generate for your company. Try a strategy where you find a news worthy item to publish once a Quarter, put it up on the wire, watch the results in your weekly reports, and determine the value. A well-written press release can get instant exposure the moment it goes up on the wire. Depending on the content, or your distribution method, endless amounts of news sites can pick up your release. If you’ve selected keywords to improve your SEO, press releases are yet another place you can use them. When people search for these keywords, if they don’t find your site, they’ll find the release. This will also allow the media to learn about your products and services, which can lead to more business and broader awareness. When a great press release is submitted, it marks you as a credible and trusted source of information for the service or product. It will mark you as an authority in your niche market. With time, potential customers will see you as an expert and when they find themselves looking for the product or service that you offer, chances are that they will come to you first. If consumers trust a brand, they will trust the products as well…Credibility is key. Once you have created a press release, you can distribute it using services like PR Newswire, Business Wire, PRWeb and eReleases, among others. Post it on your website and share the link through your social media sites and email newsletters. Send it to journalists who cover your industry and offer to help them with any stories on your release or similar topics. With the right message, you could win customers and turn yourself into an expert in the process.